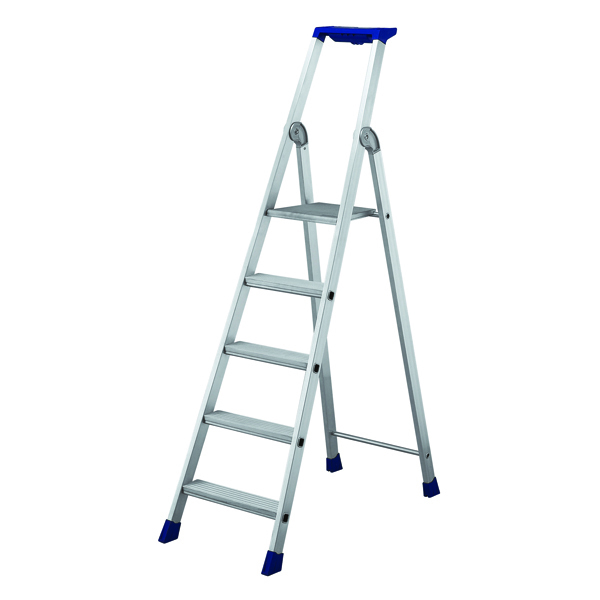 This stepladder has been manufactured to European standard EN131 and is approved for trade use. The lightweight aluminium constuction provides easy handling and transportation, as well as durability and stability in use. With 5 ribbed treads and a large moulded 1120mm high platform, the stepladder also features an extra wide back section and an integrated tool tray with bucket hook.